Brittany's Book Rambles: New Blog Design! This post is coming a little late since the new design has been up for a couple of days already, however, I'm still in shock because of how gorgeous it is. So to celebrate our new look. I'm giving away 3 lovely 2017 ARCs, open internationally! Seventeen-year-old Ruby is a fireblood who must hide her powers of heat and flame from the cruel frostblood ruling class that wants to destroy all that are left of her kind. So when her mother is killed for protecting her and rebel frostbloods demand her help to kill their rampaging king, she agrees. But Ruby's powers are unpredictable, and she's not sure she's willing to let the rebels and an infuriating (yet irresistible) young man called Arcus use her as their weapon. All she wants is revenge, but before they can take action, Ruby is captured and forced to take part in the king's tournaments that pit fireblood prisoners against frostblood champions. Now she has only one chance to destroy the maniacal ruler who has taken everything from her and from the icy young man she has come to love. Not all are free. Not all are equal. Not all will be saved. Our world belongs to the Equals — aristocrats with magical gifts — and all commoners must serve them for ten years. But behind the gates of England's grandest estate lies a power that could break the world. A girl thirsts for love and knowledge. Abi is a servant to England's most powerful family, but her spirit is free. So when she falls for one of the noble-born sons, Abi faces a terrible choice. Uncovering the family's secrets might win her liberty, but will her heart pay the price? A boy dreams of revolution. Abi's brother, Luke, is enslaved in a brutal factory town. Far from his family and cruelly oppressed, he makes friends whose ideals could cost him everything. Now Luke has discovered there may be a power even greater than magic: revolution. And an aristocrat will remake the world with his dark gifts. He is a shadow in the glittering world of the Equals, with mysterious powers no one else understands. But will he liberate—or destroy? Many thanks for introducing us with link of 3 lovely 2017 ARCs. 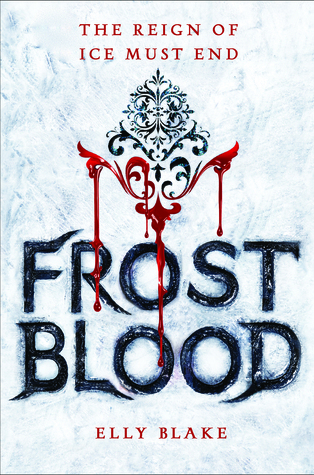 I like all book but Frostblood book which was written by Elly Blake sound some interesting. Being as an assignment writer at Assignment Help Folks - http://www.assignmenthelpfolks.com/, I am following writing style of Elly Blake, who was counting project director, imposts clerk, explicit designer, and journalist for a local commercial publication. My team of assignment writers are also like to contribute here after reading this blog. Once again thanks for great blog! And thanks for the giveaway opportunities! YOur new theme looks BEAUTIFUL 💕💕😭 I'm in love with it! Your new blog design is very beautiful! I would love to read Roseblood and Frost Blood, thank you! Love the design and pastel colors that really make a person feel like home <3 I am super excited for all of these books, especially for Frost Blood. I've heard it's really good! Lots of thanks for distribution here link of 3 lovely 2017 ARCs. I like Frostblood book written by Elly Blake, who is loves fairy stories, old households, and owls. After making a degree in English poetry, she thought a series of apparently chance jobs, counting project director, imposts clerk, explicit designer, and journalist for a local commercial publication before lastly landing on her present job as a public library assistant. Since I am providing top essay writers and also share this volume with my students who arise to take writing services from me at Essay writer. Thanks for sharing such an owing blog. I love the book illustration with the story popping up from it in 3D. And the colors! Love the pastels. These are books on my to-read list, so thanks for the chance! For Thanksgiving--I cooked the ENTIRE meal myself, including dessert and everything turned out delicious (my picky eater teenager ate 3 servings of everything)!! Thanks for the awesome giveaway! I also enjoy your BBTC chats. I love the new design and I love the color scheme and the flowers. It's very pretty. And yes, I am very excited for these books, I absolutely can't wait for these books to come out. All the covers are so pretty and I honestly think that Frostblood is my favorite cover and the premise sounds so entertaining. 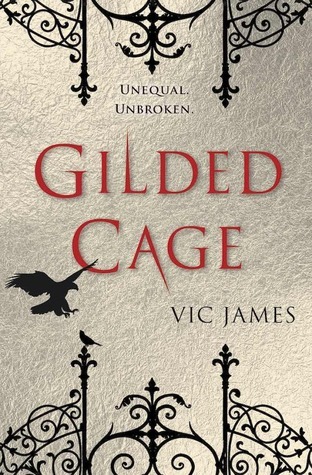 But I'm also fascinated with the premise of Gilded Cage and Roseblood. These books are definitely on my to-read list. My Thanksgiving was fun, I am still feeling bloated, and I am currently laying in my bed, recovering from my food coma. I fell in love with your blog design when I saw it the other day! I absolutely love it! My Thanksgiving was pretty good, how was yours? I hope it was fantastic and you didn't have too much pie (I'm obsessed with pie)! I'm most looking forward to Frostblood or Roseblood (hard to pick) from both of these. Thanks so much for the giveaway! Hi! I love your new blog design. The banner is so pretty! I'm so excited for RoseBlood. Thank you for the chance! 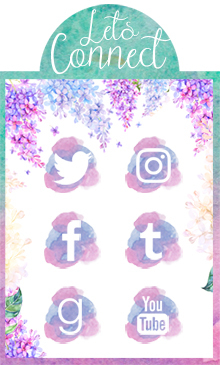 This blog design is too cute! Absolutely stunning! I am dying to read these three books!! As for my Thanksgiving it was about a month ago but was still amazing! It's beautiful! Love the floral aspect. I'd be happy to read any of the three. Thanksgiving was quite good this year. Hope yours was, too! I'm not entering your awesome giveaway, but your new design? SWOON. This design is BEAUTIFUL. Can't get enough of the purples and the blues! The whole thing looks like a watercolor painting, just like reading out of a storybook. My Thanksgiving was wonderful! Good food, too much pie (although, I guess that's subjective; one can never have too much pie), and great company. We play Taboo every year, and we were laughing the entire time this year. I hope you had a great Thanksgiving, and thank you for the chance! The new design is gorgeous!!! I am super excited for the new books. Roseblood <3 I had an excellent Thanksgiving! Loving the new design!!! Its so beautiful! Thank you Brittany for the giveaway! Really loving you new design! This new design is so amazing! All these are some cool books! I adore the new design! And those books look amazing! Love your new design, the color scheme and header is so pretty! 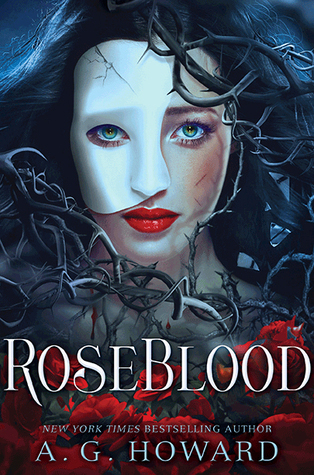 I'm also really excited for the books, especially Roseblood! I love this new design! Your twitter avatar took me by surprise. Your new blog design is super cute! I love it! I'm so excited for Frostblood. It looks amazing. We don't celebrate Thanksgiving here in Scotland, but I hope you had a great time. I'm super excited for these books! Especially Roseblood, I absolutely love A.G. Howard and I can't wait to read more of her books. Love the new blog design btw! Dutch Bros Menu is loved by a lot of people as they are the coffee chain which offers not only coffee but other beverages as their core menu. Dutch Bros Coffee Menu is mostly famous for their drive-through coffee stands all around America. Double Eclipse (Summer on East End #2) Blog Tour! Flashfall Behind the Scenes & Giveaway!